For the tourists who visit Hotel Abad Plaza in Kochi enjoy the stay here because of its aesthetically designed rooms that provide the experience of being in a romantically secluded gateway in God's own land. The guests are lured to this 3 star hotel by the exotic Ayurvedic spa enter offering a pleasure like no other. The mouthwatering multi cuisine restaurants in the hotel are simply perfect for all the tourists. 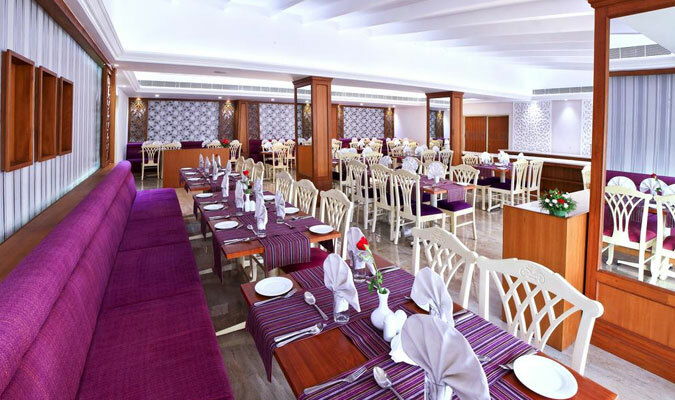 The corporate travelers develop a connection with hotel’s lavish banquet facilities. The hotel’s convenient distance with all vantage points in the city adds to the total tally of guests in this hotel. The accommodation facilities in the hotel are simply delightful. The guests enjoy staying in any of the 80 rooms at Abad Plaza as they are built with fine décor, serene aura and all modern facilities. All the rooms are divided into various categories, to fit the needs of the guests that stay in this hotel. The various forms of accommodation include deluxe rooms, standard rooms, superior rooms and suites. All the rooms are supremely spacious and centrally air conditioned. Discover the true meaning of comfort with a stay at Abad Plaza. Regency: For palates of multi-cuisines scrumptious food, specializing in Chinese, Indian, Continental and seafood dishes, along with live music in the background, Regency is a fine establishment in Abad Plaza. Kadaloram: The guests are served an amazing variety of sea food in this restaurant. Special features include Kerala buffet lunch and coastal buffet dinner. Canopy, coffee shop:The guests enjoy wide range of multi-cuisines snacks and coffee in this restaurant.